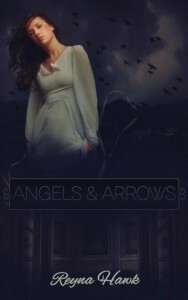 The following is a guest post by Reyna Hawk, author of Angels & Arrows. If you would like to write a guest post on my blog, please send me an e-mail at contact@cecilesune.com. I decided to do the interview at AlMa’s diner considering that it is such a crucial setting for Angels & Arrows. I ordered up a cup of coffee and waited for the very handsome Ash to arrive to the interview. As soon as he entered the diner, I knew it was him. Ash waltzed in looking as fine as always flashing his beautiful smile then ordered a cup of coffee and joined me at the table. Hi Ash, I am so glad you could join me today. “Thank you, I’m not sure why you feel this will make a good interview, but after what I have been through I’m game for anything.” Ash smiled, adding sugar and cream to a cup of hot coffee. Well, I think a great deal of people have similar questions or thoughts, so let’s jump right into it. First, why don’t you tell us a little bit about yourself? Well, you may consider yourself average, but I have to say you are fine. Anyway, how did you and Maria meet? So tell the readers what you first thought of Maria? I know myself well enough to know that I wouldn’t have been able to comprehend exactly what was being asked of me. Therefore, what were your thoughts when you first learned that an angel was using your body and mind as a vessel to communicate with Maria? We’ve all had moments of praying or talking to a higher being. However, to actually stand face to face with an angel had to be scary and awe-inspiring. What were your thoughts on Arrow the first time you actually talked to him? In some ways, it must have been an honor but truly scary in others. Why were you chosen, did Arrow ever tell you that? There are some really scary and intense moments, how were you able to hold it all together throughout all the scariness that seemed to begin almost as soon as you met Maria? We all have moments of thinking back on a particular time and think of how we would do things differently. So, if you knew from the beginning everything that was about to happen, would you still have pursued Maria as you did? Why? Ok, so for all the single ladies out there dying to know the answer to this… where do you and Maria stand right now? One last question, which is the one I am sure is on everyone’s mind…. has Maria had any more problems with the demon that was haunting her? Well, I want to thank you Ash for taking this time to answer my questions and wish you and Maria a great deal of luck in the future. “Thank you for having me, and yes we can use all the prayers we can get.” He winked then methodically waltzed out of the diner. Maria Ridge was born having gifts that allowed her to see and speak to the spirit world. As she aged these gifts became more of a curse than a blessing. At 18 she escaped the taunting from not only the town but also from her family to embark on a journey that leads her to discover others like herself, secrets to her past, and the reality of her gifts. With the help of her new friend, Allie, Maria feels she finally found her place in this world. The destined meeting of Ash awakens the two girls to the fine veil between this world and the next. Can Maria survive the haunting evil that threatens her? This book is based on true paranormal events that are due to personal experiences or eyewitness accounts. The names of people and places have been changed strictly to enhance the story line. 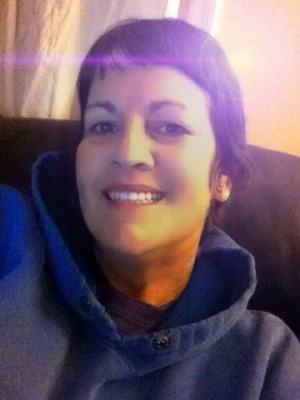 Reyna Hawk is a 47 yr. old mother of one son and grandmother to one little girl. Born and raised in Cincinnati, Ohio, she has had the passion for storytelling and writing since her teen years. Reyna's main genre is romantic suspense although she does have works in the paranormal genre and psychological thriller. Reyna is currently published through Ravenswood Publishing, GMTA Independent Publishing LLC & Libertine Press. Reyna currently holds an Associate of Arts in Psychology and a Bachelor of Arts in Culture Anthropology.